tinue into adulthood. In this piece, Dr. Daniel Lobel shows us how this abuse occurs and what one can do about it. Conversations with people suffering from Borderline Personality Disorder (IBPDs) can deteriorate quickly. It's like stepping on a bee's nest. Borderline parents suffer as well. People don't hurt their children naturally; these suffering souls often have their own past traumas. That being said, parents are not off the hook for abusing their children. 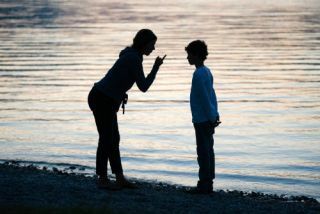 Regarding the Borderline mother, being prepared for some predictable toxic patterns can help mitigate some of her disorienting pain. If you don’t understand what you are dealing with, the likelihood is that she'll cause damage for years to come. The final effort to pressure the child to give up his plans is abuse. If this does not succeed in breaking the child’s will, it sets up a sense of victimization. This entitles them to commit more abuse as punishment while also entitling them to be more entitled in the future because they are now wounded. IBPD “Remember when you were a kid and you liked to go to antique shows?" IBPD “And you have no time for me on Sunday either, right?" Absorbing these allegations, condemnations and criticisms can cause self-doubt, loss of confidence, self-hatred and, at the extreme, disintegration of the self. IBPDs often make those closest to them feel badly about themselves. And, often the children of these people either distance themselves or anxiously try to make things right. This piece is by guest blogger Dan S. Lobel, Ph.D. who is in private practice in Katonah, New York. Dr. Lobel can be reached for consultation at 914-232-8434 or by email at: Katshrink@aol.com (link sends e-mail).